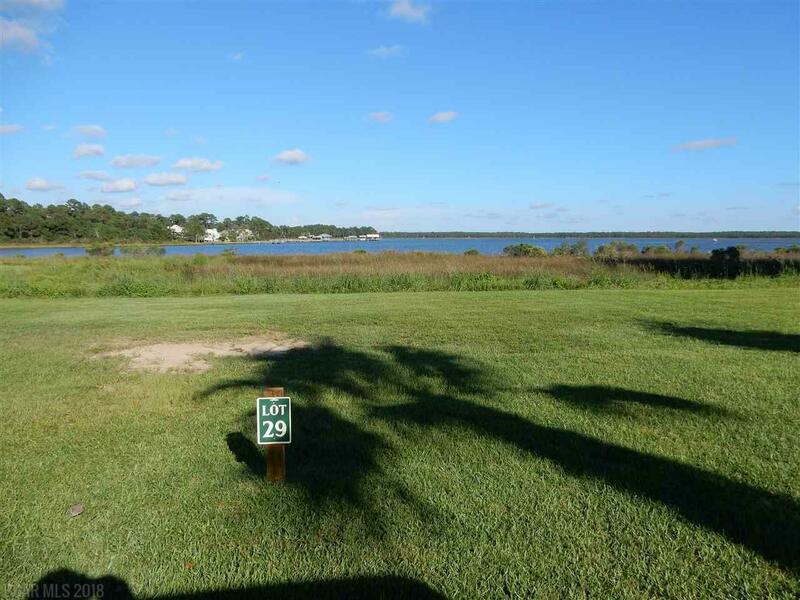 Premier gated community has Beautiful Waterfront lot in secluded Sun Set Bay of Bon Secour. Perfect building lot overlooking Intracoastal and Oyster Bay. This lot is maintained for you until you build your home. There is no time limit to build and you may choose your own builder. The dues cover: electronic gate, upscale yacht club w/ fully equipped kitchen w/fireplace & TVs, fully equipped library w/high speed internet and computers/ books to check out, fitness room w/ great equipment, pool/spa, common area insurance, maintenance of the docks, insurance on the Yacht Club. The minimum sq. ft. to build is 1400&apos;. Property has sidewalks and boardwalk and two fishing piers. Lot comes with 20&apos;x46&apos; deeded boat slip (#71) with 14,000 lb lift included in an 88 slip marina. Pavilion with observation deck for breathtaking sunsets and two visitor boat slips. Fees cover water, sewer & power at boat slips. Surrounded by five bodies of water and 50 acres of conservation land. Very few places that you have a deeded boat slip and they will go fast. Directions: Hwy 59 South Turn West Just North Of The Intracoastal Bridge Onto County Road 4 (Oyster Bay Road) Travel Approximately 3 Miles To Stop Sign And Turn Left, Go Over Plash Island Bridge And Sunset Bay Will Be The First Entry On The Left. Please Call For Entry Code.